R.T. Marke is an accountancy firm with a growth mindset and more than 30 years of experience. Chartered accountants and business advisors. We help to Create Value and Better Businesses.  We are an independent and collaborative accountancy firm based in Bideford, Devon. We work with a diverse range of entrepreneurs, owner managed businesses and companies, specialising in giving advice, insight and strategy to create strong and lucrative businesses. Fundamental to maximising the potential of a business is optimal tax planning. Driving down tax liabilities is an integral and ongoing part of our work with clients. How to improve my business profits and grow? How can I plan for my succession? How to reduce my tax liabilities by proactive tax planning? What grants & subsidised loans can assist my business? How can I reduce my business and personal risk exposures? No matter how large or small you are HMRC can launch a tax investigation at any time. It’s impossible to tell when an investigation might happen and that’s why it’s so important to protect yourself today. The annual audit report is a great opportunity to optimise potential problem areas of your business, and it also has a positive impact on the perceptions of investors and potential customers. We understand what is important to small and medium sized business owners and we take time to really get to know each and every one of our clients. Check some of our sectors!